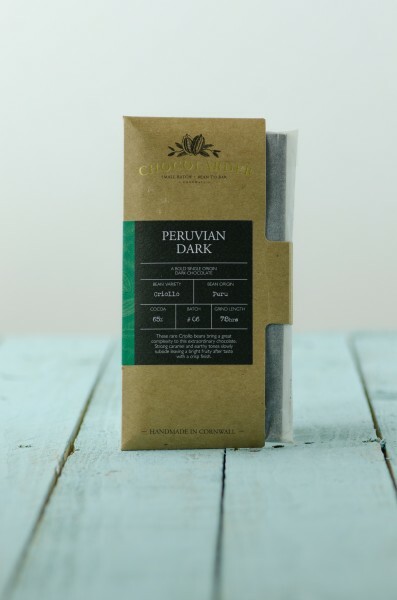 Grown in the foothills of the Andes, this Peruvian Criollo cacao is farmed in equilibrium with the Amazon rainforest, benefiting from the rich fertile soils and high humidity. Tasting Notes – rare Criollo beans bring a great complexity to this extraordinary chocolate. Strong caramel and earthy tones slowly subside leaving a bright fruity after taste with a crisp finish.